I was searching and searching for one of these. I LOVE the electric Blue color of the set. I also plan on switching in some of my Hanna-Barbera Wobblers inside. Absolutely LOVE this piece. Congrats! These are very cool. I have a few on my eBay watchlist. 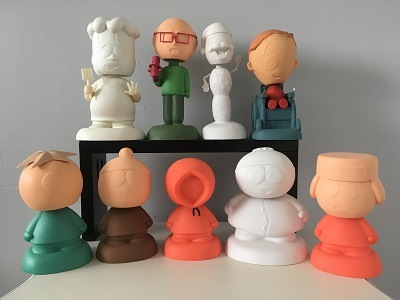 I always loved the characters that were done In the FunkoVision sets. I put all but 1 set into my recycling. They take up a lot of space and cost a lot to ship 10 years ago...……………..they must be pricey now. 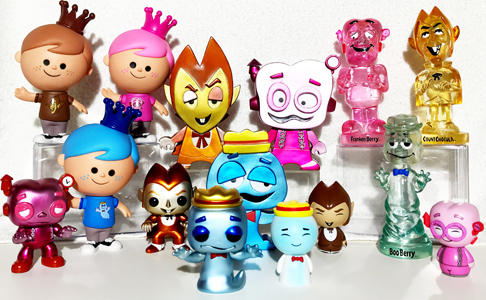 After the FunkoVision sets were discontinued, this line turned in "Cartoon Classics", but Funko soon abandoned this line altogether. The vinyl characters in these line are some of their best stuff though! a99kitten wrote: Congrats! These are very cool. I have a few on my eBay watchlist. I agree they are awesome. I also watch Ebay in hope of adding one to the collection. 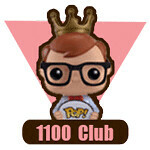 kevinbuddha wrote: I always loved the characters that were done In the FunkoVision sets. I put all but 1 set into my recycling. They take up a lot of space and cost a lot to ship 10 years ago...……………..they must be pricey now. Mr. Buddha your history lessons are some of my favorite things on this forum. Thanks for sharing your knowledge. Congrats on your first Funkovision! Congrats on the Funkovision pick-up! They really are amazing looking! So many great Funko products and so little room . The Funko visions are definitely cool, always nice to see them pop up. CaseyJones14 wrote: Congrats on your first Funkovision! Love these. One of my favorite series. I have a few of them and will continue to add more. Congrats on the find. Congrats on the pick-up. I love these pieces in their little TV sets. We have a few and there's a few others I hope to track down one day. Enabling is what I do best! Always willing to share and you are very welcome!! Very nice set and find. Yes, the sets alone are worth it. I'd love to have some empty sets just to display my other Hanna-Barbera Wobblers. Congrats!! I don't yet own any of these, but they're high on my wish list. So many great Funko pieces pre-pops. Oh wow these are fantastic.... Totally had no clue these existed. Might have to keep my eyes open for these, would be a nice addition to my collection! tamarag wrote: Oh wow these are fantastic.... Totally had no clue these existed. Might have to keep my eyes open for these, would be a nice addition to my collection! Totally an awesome old school set of Funko!! Good luck with your search!! I’ve heard of these before but never actually found any, really awesome set, congrats on the pickup! Batty88 wrote: I was searching and searching for one of these. I LOVE the electric Blue color of the set. I also plan on switching in some of my Hanna-Barbera Wobblers inside. Absolutely LOVE this piece. Wow that is really sweet . Congrats . I'll admit I got one of the sets in the TV display just for the display - it's so cute! I have the happy tree friends funkovision set, it was such s cool idea that I wish they would do more of them. Congrats on a great find! Love the detail that goes into these. It is really cool to be able to see the early makings of Funko.